I will post news articles where HOLOS is helping to build a culture of peace wherever people take it. 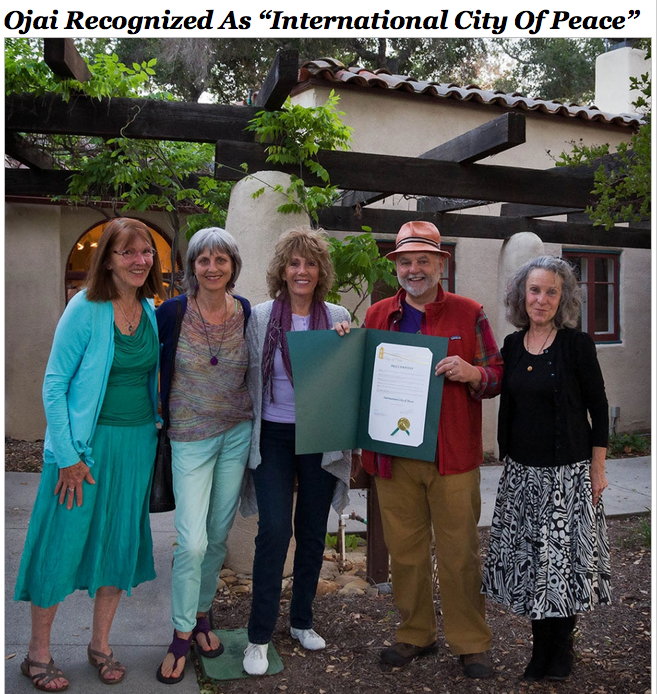 This first link is to the Fillmore Gazette article with many great photos of Ojai receiving a proclamation of being and International City of Peace, brought about by our HOLOS team of peace builders. Photo by Les Dublin. Ever since Ojai became an International City of Peace, HOLOS has been utilized in our local peace identity. Here’s our peace network website we are using to promote peace here in Ojai and inspire other Change Makers and Peace Ambassadors to do the same in their cities. Here’s a blog post by Arthur Kilmurray about the HOLOS and the affects of its sacred geometry and how to use it towards inner peace and freedom. 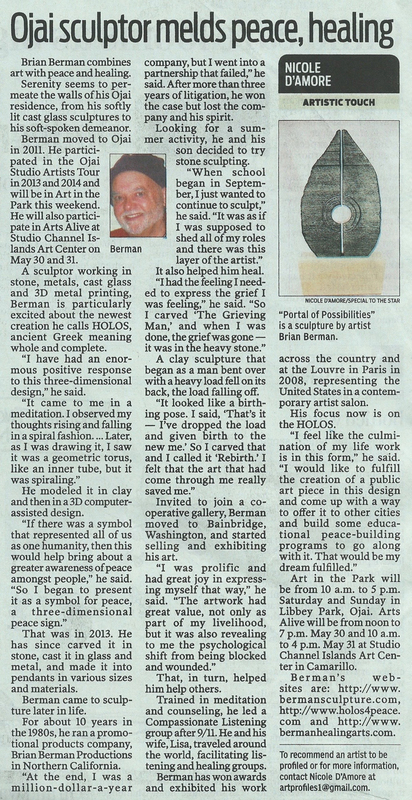 Here’s an article in the Ventura Star that shares how HOLOS came about and what my vision is for bringing it into the cities of peace.